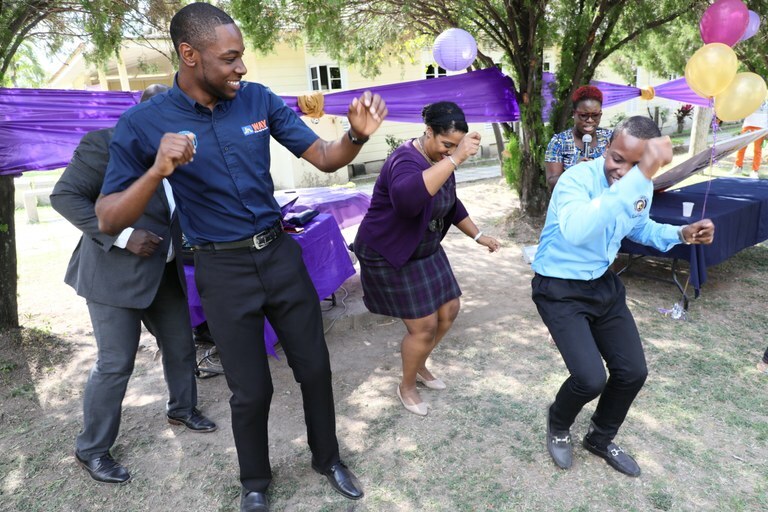 Faculty of Law Kicks Off 10th Anniversary Celebrations — UTech, Ja. 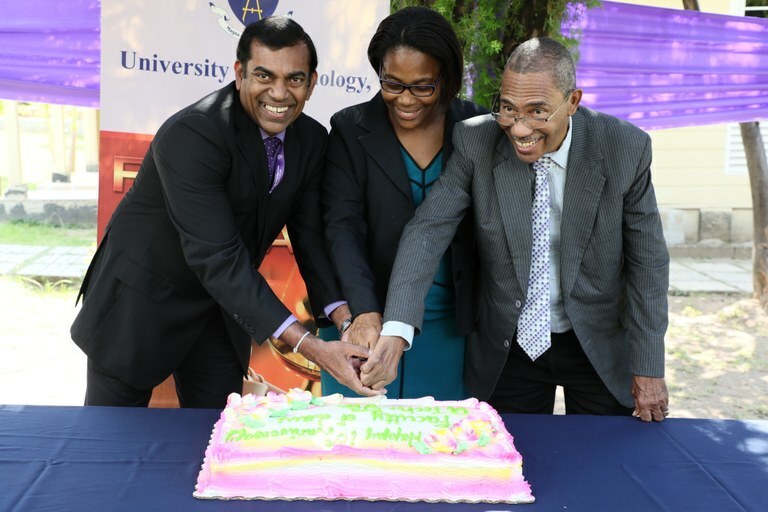 L-R: Dr. Prathiba Mahanamahewa, Dean, Faculty of Law, Mrs. Karen Rhule, Faculty Administrator and Professor Kent Pantry, QC, former Dean cut the Faculty’s 10th Anniversary Cake at a ceremony held on the lawns of the Drawing Room, Papine Campus on January 9, 2019. On Wednesday, January 9, 2019 the Faculty of Law kicked off its 10th Anniversary celebrations with the cutting of their Anniversary Cake. In attendance were members of current and past faculty and administration to mark the 10th anniversary milestone since the Faculty of Law was established in 2008. Professor Kent Pantry, QC founding Dean and Retired Director of Public Prosecution who was instrumental in the establishment of the Faculty, gave a brief overview of the history and development of the faculty. He expressed thanks to Professor Stephen Vasciannie, President, UTech, Jamaica and former Principal of the Norman Manley Law School for establishing an evening stream which provided access for UTech, Jamaica students to enrol at the Norman Manley Law School. 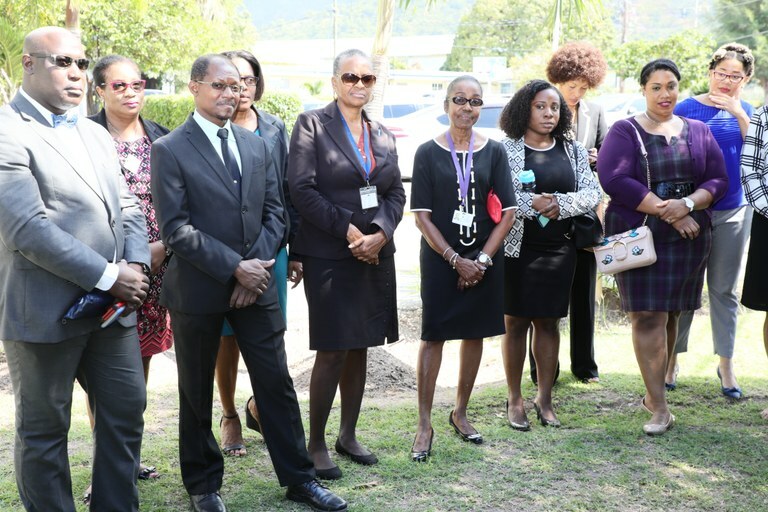 He noted that six students from the first cohort who completed the Bachelor of Laws successfully enrolled at the Law School and successive UTech, Jamaica students have gone on to do well in the entry exams and at the Law School. Professor Colin Gyles, Deputy President, UTech, Jamaica congratulated the Faculty of Law on the milestone and expressed gratitude to past and current staff and faculty, who through their contribution have ensured that the objectives of the Faculty have been realised. 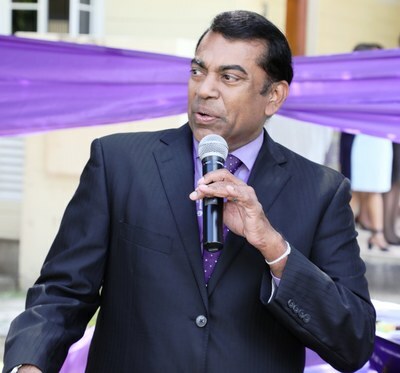 Professor Gyles thanked former Deans, Professor Pantry, Professor the Honourable Oswald Harding, OJ, Mr. Alfred McPherson and Mrs. Marcia Robinson, (Acting Dean) and current Dean, Dr. Prathiba Mahanamahewa. Dr. Mahanamahewa in his remarks expressed hope that with UTech, Jamaica being granted Institutional Accreditation by the University Council of Jamaica (UCJ), it will serve to bolster the University to become the leading Law faculty in Jamaica and the Caribbean. Dr. Prathiba Mahanamahewa, Dean, Faculty of Law addresses members of faculty and staff who turned out to celebrate the milestone occasion. 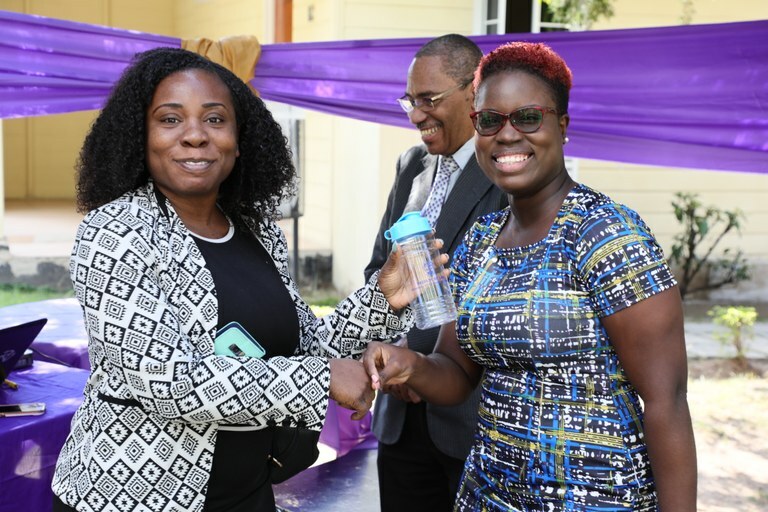 Ms. Shanice Trowers, (left) Lecturer, Faculty of Law accepts a token for correctly answering a trivia question during the afternoon’s celebrations, from Mrs. Alicia Dixon Stone, Programme Director and Coordinator for the Faculty of Law’s 10th anniversary celebrations. In the background is an amused Professor Kent Pantry. Faculty and students compete in a dance-off during the celebrations.